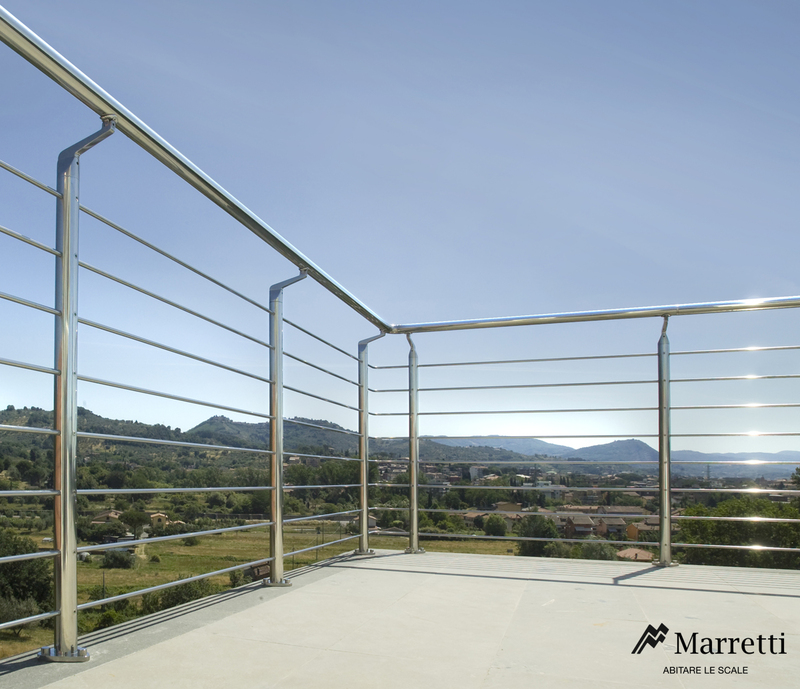 The exterior banisters are completely made of AISI 316 stainless steel with polished finish only. 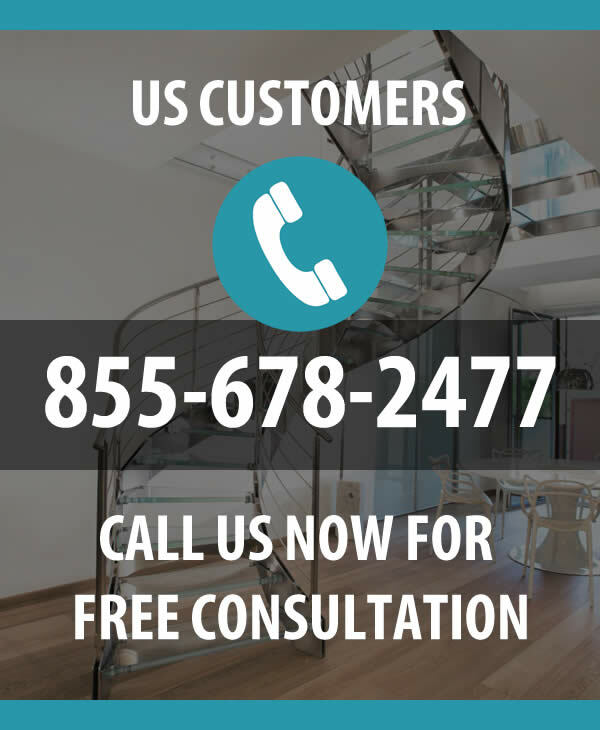 The banister attachment can be outside the step, on the step or on the sloped surface and it can be supplied with solid transversal stainless steel rods Ø 10 mm. There can be 5 rods with a banister height of 94 cm or 8 with a height of 101 cm and a distance between rods of 9.5 cm. The handrail is supplied in AISI 316 stainless steel Ø 42 mm and it can be parallel with the banister or offset to increase safety against climbing over. The banister can also be supplied in 4+4 Visarm glass panel (one 0.6 mm PVB film between layers).